Example of baggy swimwear. If she swam with this set, it would have been much heavier than a set that fits her properly. Joy is pretty tall for her age but skinny. This makes it a challenge to get her a suitable set of swimwear, because my basic criteria for swimwear is that it should be snug, not too tight (can cause irritation and chafing) and most certainly not baggy (can interfere with the swimming). But now I’ve found Tee-Pee-To! Their one piece swimwear is thoughtfully manufactured with a v-shaped neckline that dips low enough before the zip portion starts. This means that Joy’s throat / neck area are unlikely to be hurt from the ends of the zipper, even if she engaged in rough play. The flap hat (which is also available in a manly version for the boys, if you prefer) protects their neck for playing in large exposed watermarks, so that you do not have to soothe a child suffering from sunburn on the neck after an epic outing. 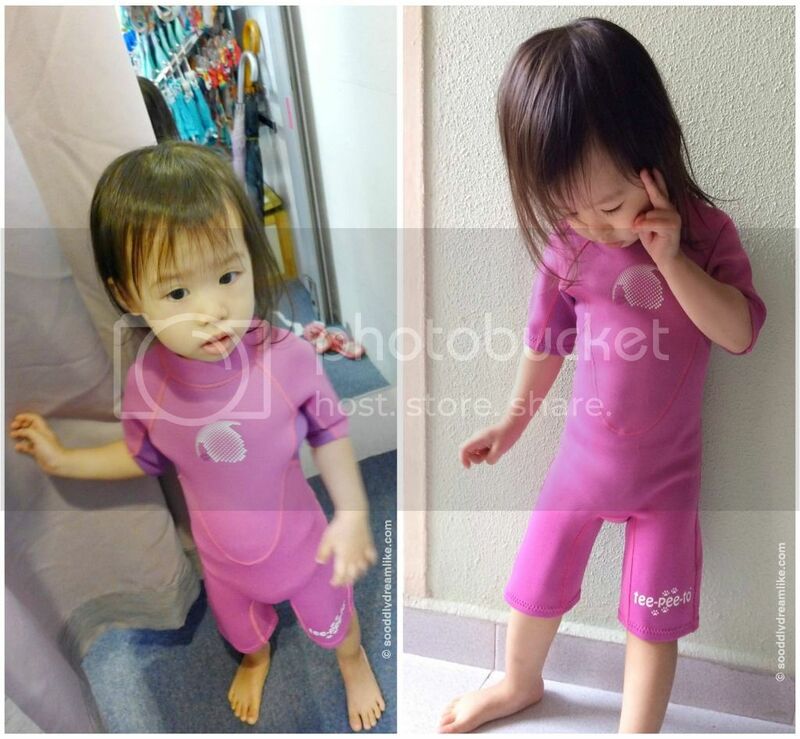 Tee-Pee-To carries thermal wetsuits for little ones as well. I’ve been looking for these ever since one experience where Joy’s lips turned purple from being too cold while having fun at Adventure Cove, Sentosa. She recovered pretty soon with some care, but it’s not something I’d like to repeat again. The Tee-Pee-to thermal swimwear keeps our little ones warmer than your usual swimwear, good when you expect the water / environment to be cold. 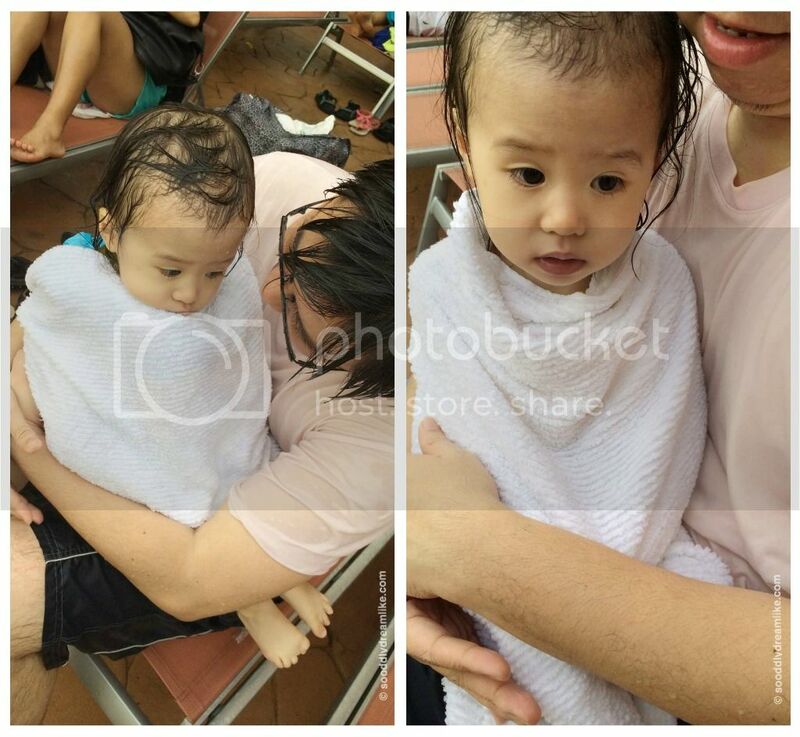 I brought Joy for a night session of waterplay at the rooftop water playground at Tampines 1 on a very cold night. It kept her warm enough to run through the water installations. Joy still shivered after she got soaked with the icy cold water at the slightly deeper pool area, but I imagined it would be much worse if she had not worn her Cookie Thermal Wetsuit. Ocho Maeve also carry related products like swim caps, swim goggles, eye glasses, hats etc. I spotted this bucket hat. It is foldable, reversible and I was really sold on the design. We bought it! Tee-Pee-To swimwear are designed locally (go local!) and all of Tee-Pee-To’s swimwear have something in common – each piece is well made with good stitching and “cushioning” at appropriate places. The brand’s swimwear is also certified as having a Ultra Violet Factor of 50+, very important to have especially if you tend to spend hours under the sun. 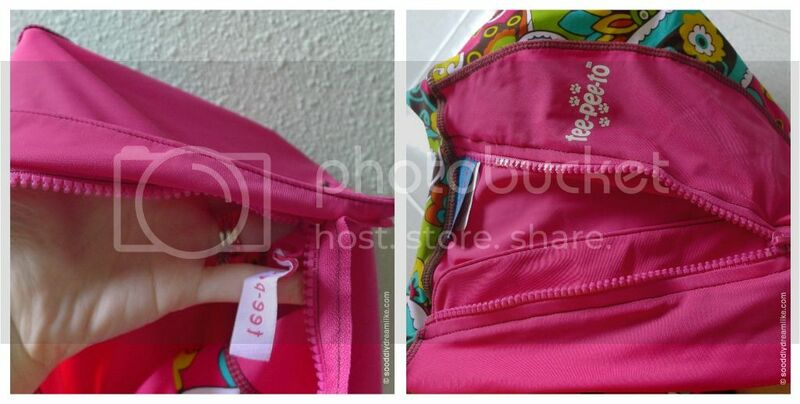 A stripe of cloth where the zip is protects delicate skin from being hurt accidentally. Their price range is value for money as you can see from the pricing indicated. 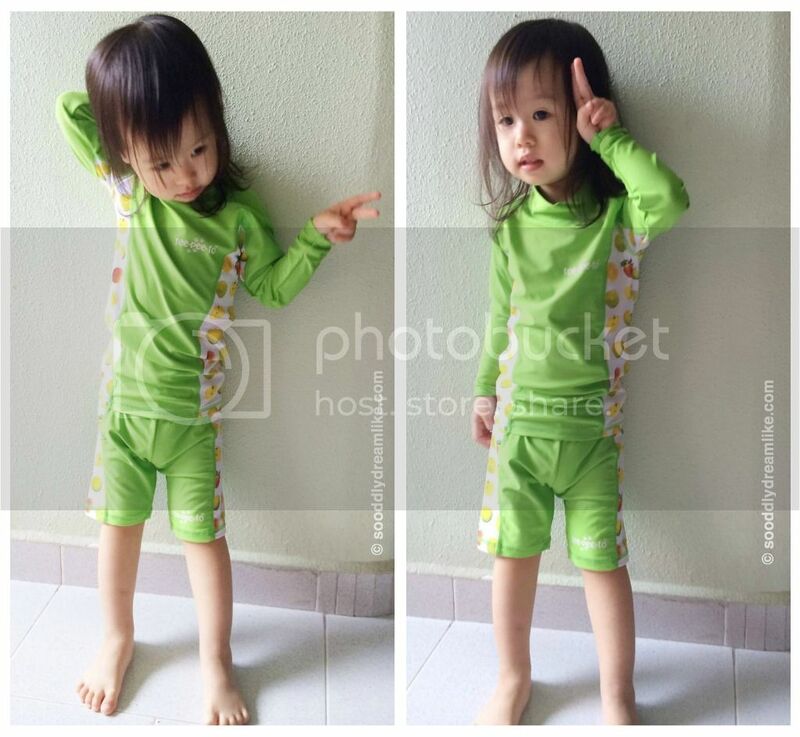 I like it that they have lots of separates, when the little ones outgrow only the pants or only the rashy, just get what is needed in a larger size – there’s no need to throw out the whole set of swim wear. 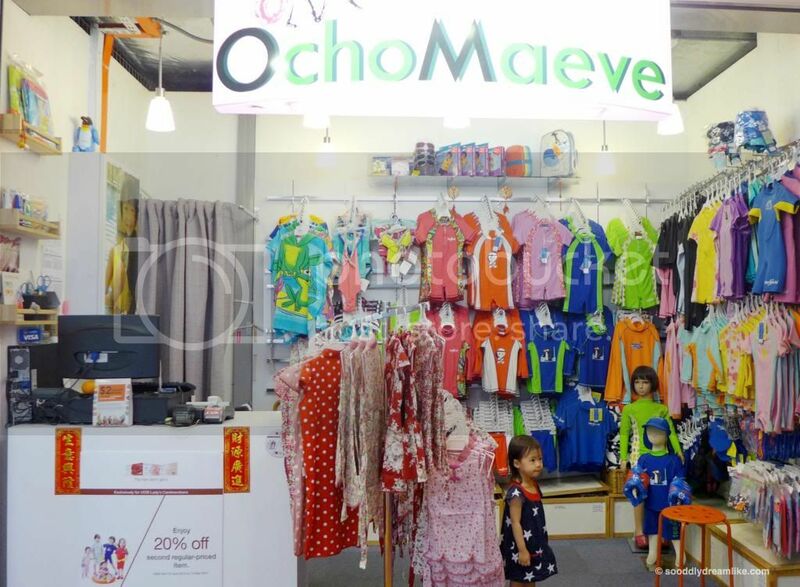 Currently, there is a flash sale on Tee-Pee-To swimwear at Ocho Maeve’s retail store (address below) as well as on their shopping site – many items are going for 50% off! It’s a flash sale, so head down as soon as you can, don’t wait till its over! 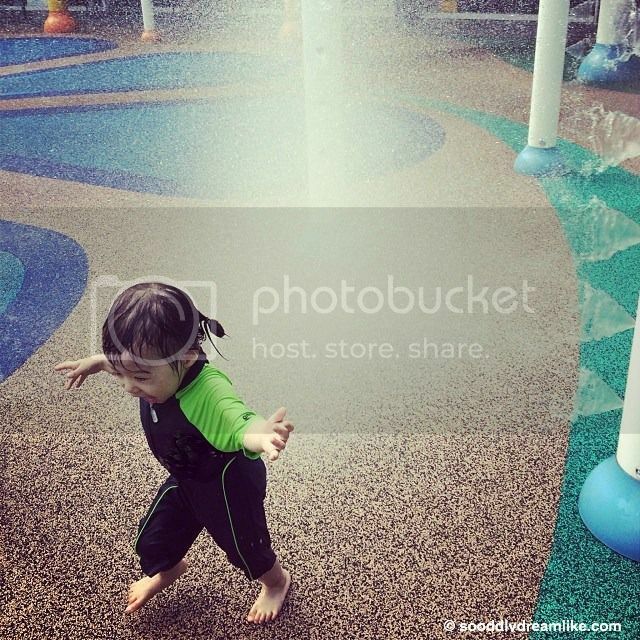 Selected designs also retailing in Jurong Bird Park – Birds of Play, Stuart Little@ Nex, Gallen Sports @ I12Katong and various 8 Mothercare all over Singapore. Disclosure: Joy was gifted with the four sets of swimwear you see in this post. We bought the bucket hat at a discount, no monetary compensation was received and all opinions are my own. Oh cool! I’ve been looking out for a new set of swimsuit for each of my girls too! Wow! 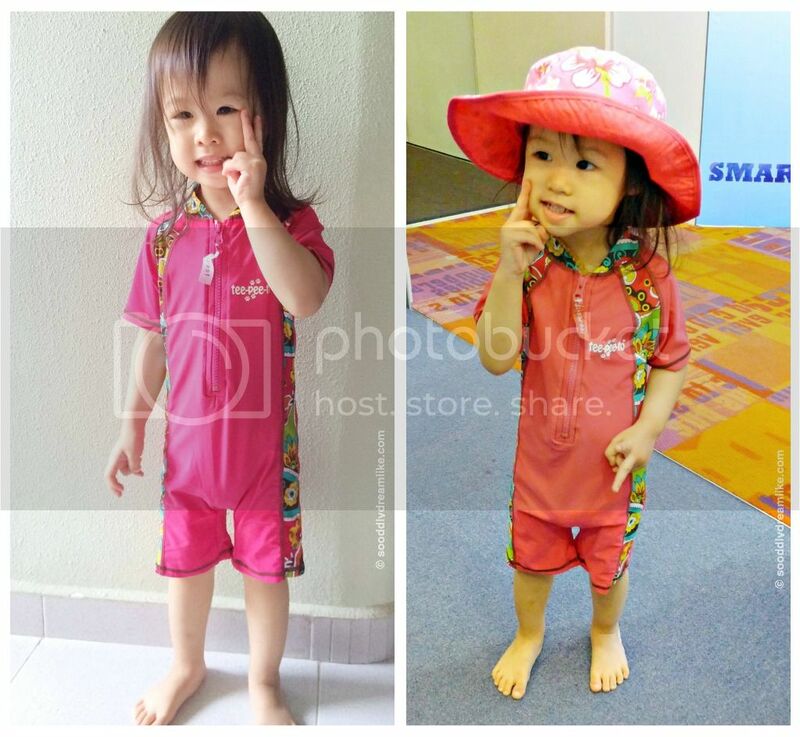 This is a grand brand with unique and colorful swimwear pieces for kids. My officemate in Singapore has been looking for exactly those items. 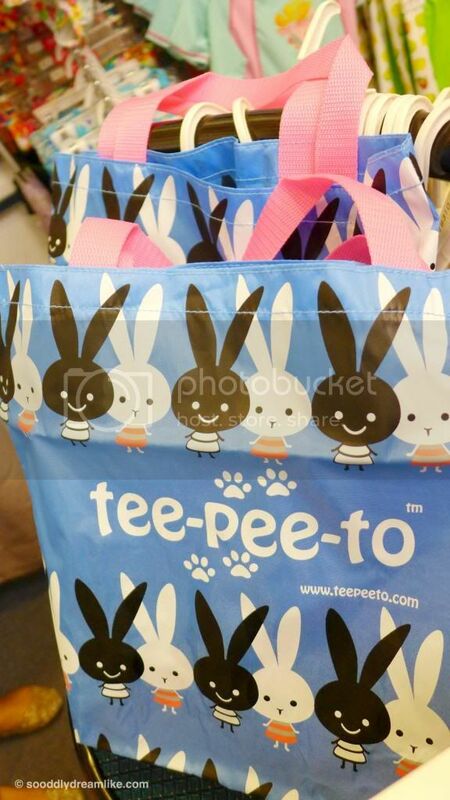 I am totally in love with the tote bag!!!! And i need a flap Hat!!!!! I got to go visit sooN! 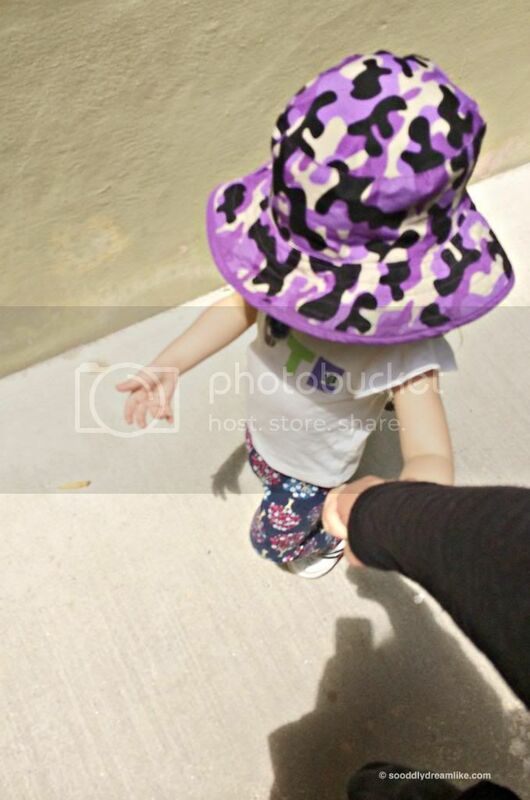 Cute right! I love it too!